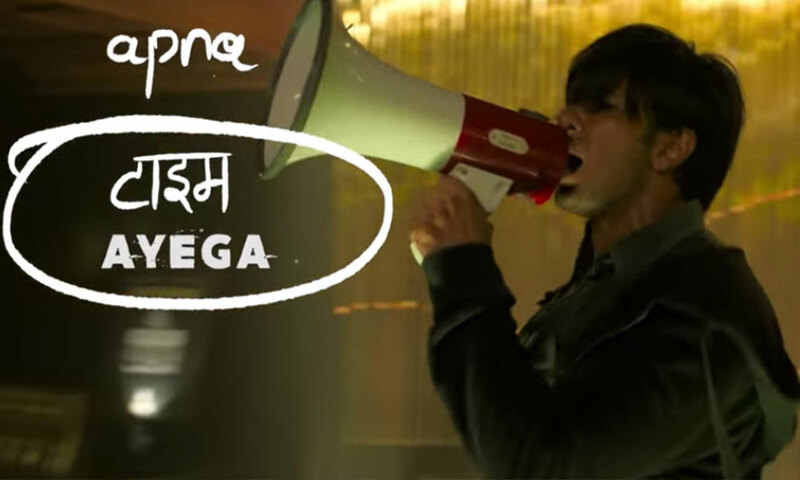 ‘Apna Time Aayega’ the much-awaited song from the film Gully Boy ‘is finally out now! The high on energy song features Ranveer Singh rapping his heart out, giving insights into the life of the Ranveer’s character which is based on the lives of real underground rappers. The video shows Ranveer Singh’s character, the titular ‘Gully Boy’ performing on stage and leaving the crowd in raptures with his rap skills. “Tu nanga hi toh aaya hai, kya ghanta le kar jaayega? (You were born with nothing, what the hell will you take with yourself when you die),” he says, as the crowd goes nuts. ‘Apna Time Aayega’ is a raging anthem that provided the hook in the recently released trailer for the film, based in part on the lives of Mumbai rappers Divine and Naezy, and the city’s underground hip-hop scene. The song is performed by Ranveer, and composed by Divine and Dub Sharma, with lyrics by Divine & Ankur Tewari. Ever since the announcement of the film had happened there’s humongous anticipation there around the film be it for the prep videos or the spottings. Recently, the teaser ‘Asli Hip Hop’ and the trailer of the film was out a few days back and it just broke the internet as it had garnered millions of views in very less time. Next articleNot Just Directorial Debut Shelly Chopra Dhar Also Makes Her Acting Debut With Ek Ladki Ko Dekha To Aisa Laga?